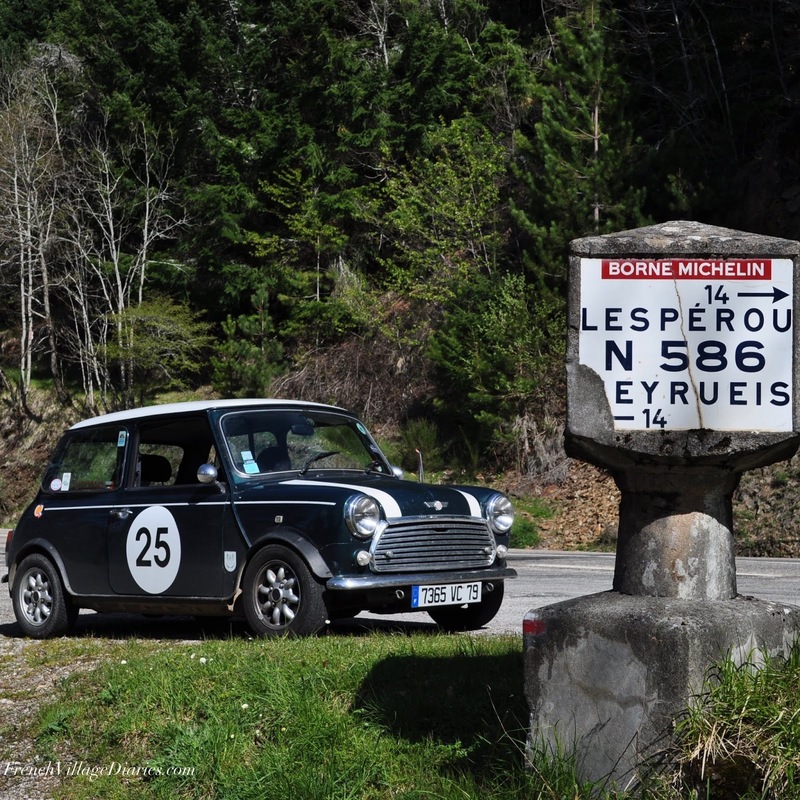 We love taking road trips in France and as the summer holiday season begins, many more tourists will be taking to the roads, so I thought it was important to let you know that from tomorrow, 1stJuly 2018, some of the speed limits in France have been lowered, but there will be NO new signage to remind you. 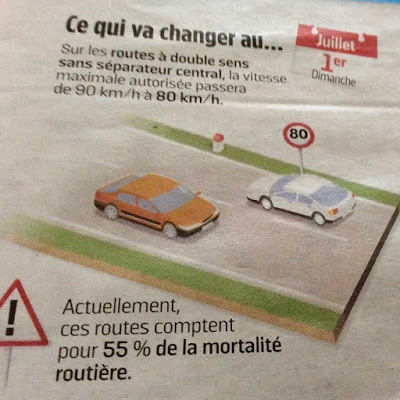 According to the government website, speed is the main cause of fatal accidents in France (31%) and with 55% of road deaths occurring on roads without a central reservation, the speed limit on these has now been reduced to 80 km/h. At 80 km/h your stopping distance is 13 metres shorter than at 90 km/h and the hope is that this will save the lives of between 300 and 400 people each year. They also estimate that on average, by driving at 80 km/h instead of 90 km/h, we will all save around 120€ in fuel costs each year as well as reducing CO2 emissions by 30%. Single carriageway roads with no central reservation where the speed limit was 90 km/h, has now been lowered to 80 km/h. Roads that have two lanes in one direction and one lane in the opposite direction, with no central reservation, remain at 90 km/h for the two lanes but has now been reduced to 80 km/h for the one lane. 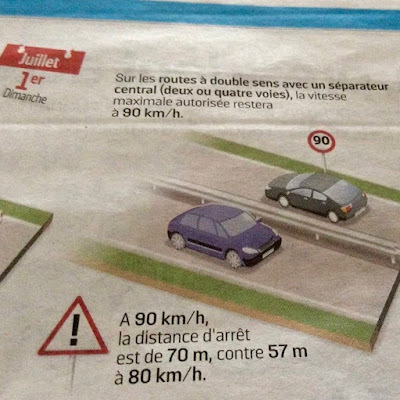 Roads with a central reservation, either two or four lane, will remain at 90 km/h. These apply unless otherwise stated, for example 70 km/h (43 mph) or 30 km/h (19 mph) restrictions can be found but will always be marked. I had so much fun on the official public service, Gendarmerie and road safety websites, making sure I had my facts correct, that I thought I’d share a bit more information on driving in France with you. While this is by no means an exhaustive list of what is right and wrong when driving in France, I think it covers the basics, although do remember when in France, drive on the right. 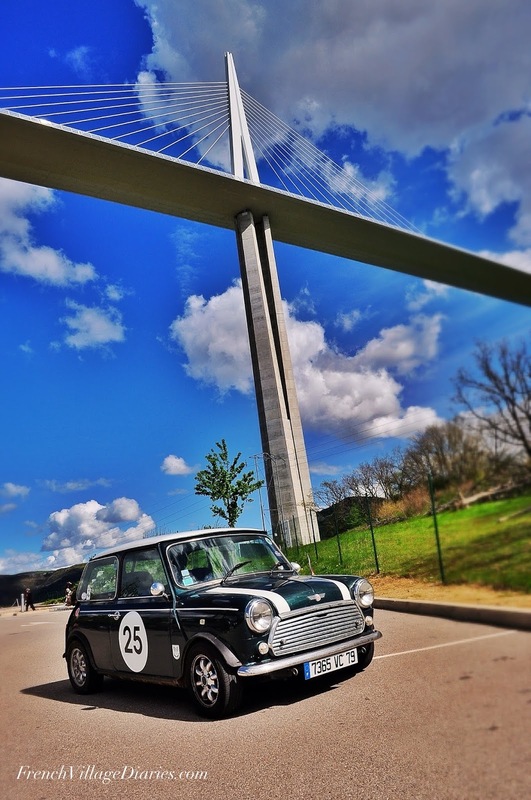 By law when driving in France you must carry your driver’s licence, car registration documents and insurance documents with you at all times. Failure to present your driver’s licence and car documents can carry an immediate fine of 11€ (increased to 135€ if you fail to provide them within five days). Failure to provide proof of insurance can carry an immediate fine of 135€. I also carry a photocopy of my passport for ID purposes and it is also a good idea to carry your EHIC European Health card and details of your travel insurance too. The legal alcohol limit in France is 0.2 g of alcohol per litre of blood. In England and Wales, it is 0.8 g and in Scotland 0.5 g. In March 2012 it became law to carry a disposable breath testing kit in your car at all times. However, in March 2013, the fines imposed for not having one were removed. It is still law to have one, but there are no repercussions for those caught without one! It has been a legal requirement to carry a warning triangle and a high vis jacket since 2008. The jacket must be kept in the car (not the boot) to enable the driver to put it on before exiting the vehicle following a breakdown or accident. Failure to have them can carry a fine of up to 135€. All vehicles must be equipped with headlights in a working order and being stopped with a non-functioning headlight can result in a fine of up to 180€ and the impounding of your car. You must change a blown bulb immediately, which is why it is recommended that you carry spare bulbs in the vehicle at all times. The use of real-time devices that detect the presence of fixed or mobile radars and police cameras has been against the law since 2012. This can include GPS SatNavs, even if they are built into the car, or a mobile phone app that warns of the positioning of speed cameras. This can carry a fine of up to 1,500€. Children must be in age/weight appropriate car seats and under tens must sit in the back, except for the rear-facing baby seats, which can go on the front passenger seat so long as the airbag has been disabled. Not respecting a STOP sign or a red light at traffic lights can result in a fine of up to 135€. 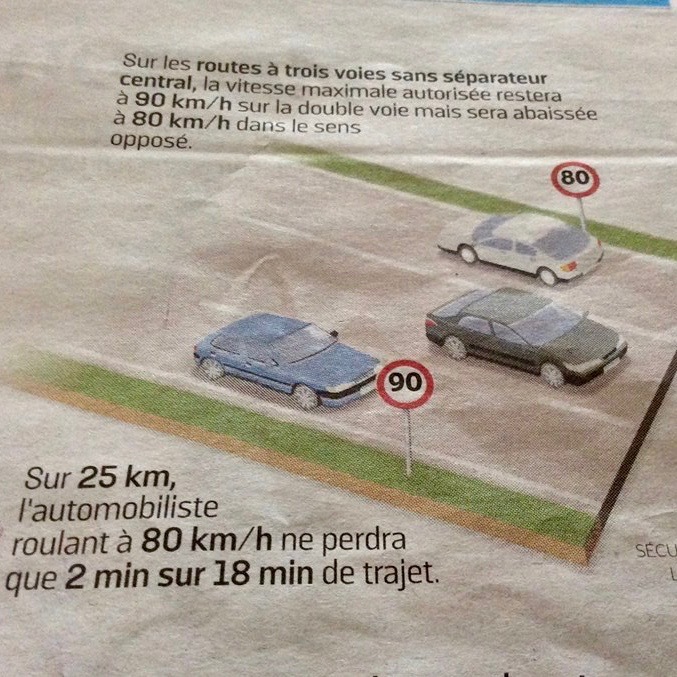 Please note according to the French highway code you must stop when you see the lights change to amber. It is also against the law to drive while using a mobile phone (135€ fine) and if the driver or any passenger is not wearing a seatbelt (135€ fine). If you too want to visit the fascinating websites where I found my information, here they are. Please share this post if you know of anyone likely to be driving in France, and if you are visiting France this summer, I hope you have a lovely holiday. This post has been linked to Paris in July. Welcome to ‘France et Moi’ where this week I am talking to author Christopher Bowden about what France means to him. Christopher Bowden lives in south London. 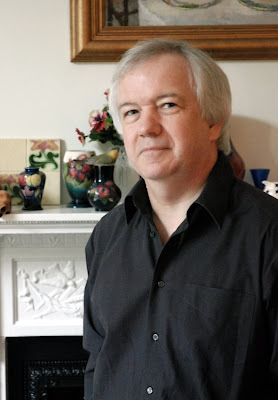 He is the author of five colour-themed literary mysteries: The Blue Book, The Yellow Room, The Red House, The Green Door, and, most recently, The Purple Shadow (see my review here). Christopher: The quality and diversity of both landscape and built environment are certainly part of it along with an ability both to preserve the past and to look to the future. Ultimately, though, it’s a rich and distinctive cultural identity, pressures for change notwithstanding – and a propensity to man the barricades at the drop of a chapeau. 2) What is your first memory of a trip to France? 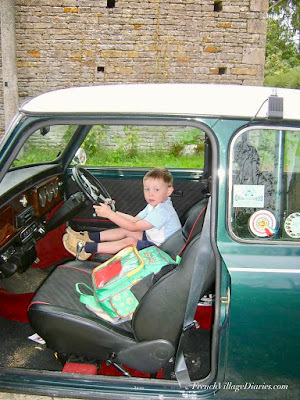 Christopher: A family holiday to Brittany in 1966. Memorable chiefly for a visit to Concarneau. It turned out to be during the Fête des Filets Bleus I August. The place was packed and we couldn’t get a hotel room so we spent the money on large quantities of fruits de merand had a night in the car. 3) The first part of The Purple Shadow shows a detailed knowledge of Paris, off the tourist trail, have you ever lived there or is it a regular holiday destination for you? Christopher: I have visited Paris frequently over the years so I had a fair idea where I wanted to set the book. But I went back to double-check locations by walking everywhere my characters go, including one or two fictitious streets. It was a long day. 4) The Paris art scene features in The Purple Shadow; do you have any tops tips for visiting art galleries in Paris? Or maybe a favourite, must-see gallery? 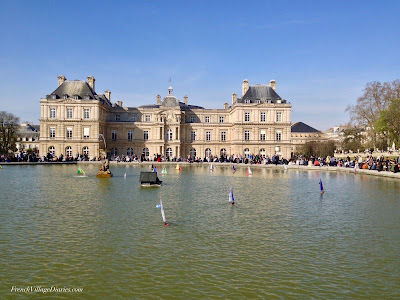 Christopher: The book features a gallery supposedly located in the Place des Vosges, my favourite Paris square and home to quite a number of small galleries that may well have influenced what I wrote. The gallery I visited most recently was at the Pompidou Centre to catch up with the Hockney exhibition I missed in London. Otherwise, I have fond memories of smaller galleries, such as the musées Marmottan, Bourdelle and Nissim de Camondo, not to mention the Musée Carnavelet that also features in the novel. 5) Imagine you are sitting outside a French café at 10.00am on a sunny morning watching the world go by, what do you order from the waiter? Christopher: At that hour, it would certainly be breakfast: coffee, croissants and maybe freshly squeezed orange juice. Christopher: I tend to stare admiringly through the windows rather than buy but I can admit to being seduced by a rhubarb tart in a branch of ‘Paul’ barely a month ago. 7) France has many different cheeses, a silly question, but which French cheese are you? A hard and mature Tomme, a soft, fresh and lively goat cheese, the creamy and rich Camembert or maybe the salty and serious Roquefort? Christopher: I may be a Tomme de Savoieon the outside but a gentle prod might reveal something softer, possible a Perail, a creamy ewe’s-milk cheese - with a kick to it. 8) France has some beautiful cities and there are a few that constantly battle to be my favourite, what is your favourite French city and why? Christopher: Paris apart, it’s a toss-up between Bordeaux and Lyon, with Toulouse not far behind. Probably, Bordeaux for the quality of the buildings in the old town, the sheer amount to see, and the high standard of cuisine. And only two hours from Paris on the TGV. 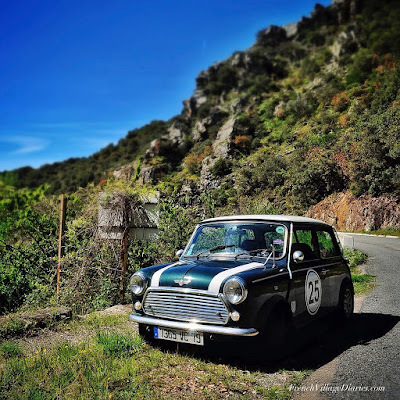 Christopher: A period property in a small town in the Aveyron would do very nicely, thank you. It would require a fig tree and plenty of room for gardening. Finally, can you tell us a little bit about the inspiration behind The Purple Shadow? Christopher: Two drivers, initially. One was the title. I had reached ‘purple’ in the sequence and felt that ‘the purple shadow’ offered a lot of possibilities. This led to the idea of a shadow in a painting of something that could not be seen. A shadow of what - or whom? Was the picture once larger? Why would it have been cut down and what happened to the rest of it? And so on. The other was to give Colin Mallory another outing. He is the main protagonist of The Red House, a young actor whom we left in Paris at the end of the book, though that one is largely set elsewhere. It seemed a good opportunity to bring him back to Paris with enough time to wander – and to be drawn into the mystery of the painting. You can read my review of The Purple Shadow here and links to Amazon can be found below. 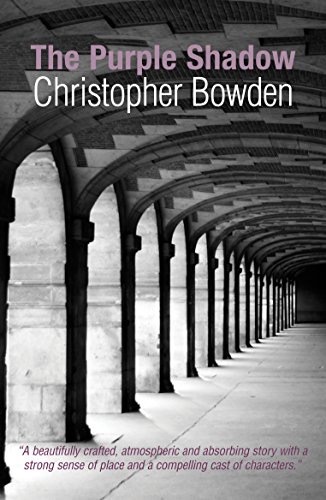 My review today is for The Purple Shadow, the latest in the colour series of mystery novels by Christopher Bowden. In a Paris very much off the tourist trail we meet Colin Mallory, a young actor currently between roles and with too much time on his hands. A chance meeting in an art gallery leads to an invitation to dinner, where he catches his first sight of a striking portrait whose origins are surrounded in mystery. Colin feels compelled to discover more about it. Who is the artist, what can he find out about the woman in the portrait and why is there a mysterious shadow of something that is outside the picture? His investigations take him to theatre archives, galleries and museums in Paris and London, and reveal a love story set in the 1930’s. The mystery deepens when he discovers the portrait was hidden for many years and learns of the rumours of strange goings on that are linked to it. The more he discovers, the more he needs to find out, but the more he finds out the more mysterious it becomes, and it seems he is not the only one doing some digging into a past some want to forget. I really can’t say too much without spoiling it, but the more I read, the more it intrigued me and the more I needed to read. If you love books that take you to Paris and are looking for something a little different to read this year, look no further than The Purple Shadow. I’m delighted that Christopher will be joining me on the blog on Friday where he will be taking part in my France et Moi interview feature. The Purple Shadow is available in ebook and paperback format, links to Amazon can be found below. 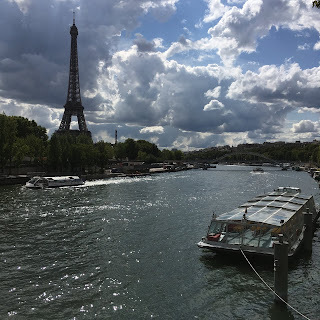 Welcome to another Lazy Sunday in France and today I’m taking you on a sentimental journey, looking back at some special moments in the last fourteen years. It’s been an emotional week. Ed has battled through five written exams, totalling sixteen hours of concentration under exam conditions, and has now officially (if a little unbelievably) finished school in France. Maybe my memory is playing tricks on me, but it seems like only yesterday we took our almost four-year-old into Maternelle (nursery school) for the very first time in September 2004. School was still a full day, even at that age, but breakfast was served in the classroom when they arrived, we had to supply a serviette for lunchtimes and their three-course meal was eaten on tables of four, where each child took turns at clearing away afterwards. 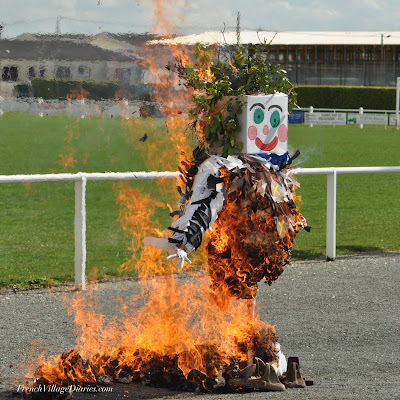 They had day trips out and once a year an end of winter carnival, with fancy dress, confetti, and a walk through the local town that culminated in the burning of the Bonhomme d’hiver, the effigy of winter. Ed learned French through play, although true to his cautious nature, it took him four school terms before he was happy to begin using his new language to communicate at school. In 2006 he made the move to the bigger Primaire (primary) school situated next door. To us, the older kids in the playground looked huge. The school trips became three-day, two-night adventures, and I was lucky enough to join in as a mummy helper three times, to Archachon, the Loire valley and Brittany. Having been particularly traumatised (me not him) by his move up to Primaire, the prospect of him going to Collège (secondary school) was made a little easier by getting myself involved in their extra English conversation programme, a whole two years before Ed was due to join them. He left there three years ago, but I’m still there! In Collège the school trips continued, including a week skiing in the Pyrenees and a week hiking and canoeing locally, but sadly no longer with me. It was at Collège where he discovered a social life, albeit at the exact moment he took his brevet exams, but he passed. 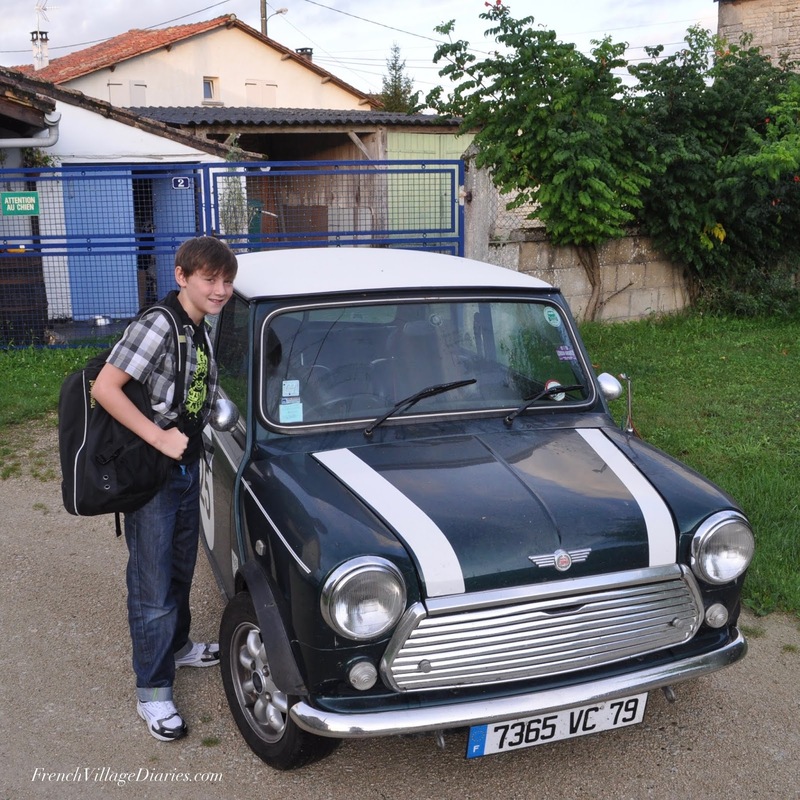 In 2015 he set off for lycée in a town 25km away, boarding from Monday to Friday and the first stage of independence and mummy-letting-go had begun. 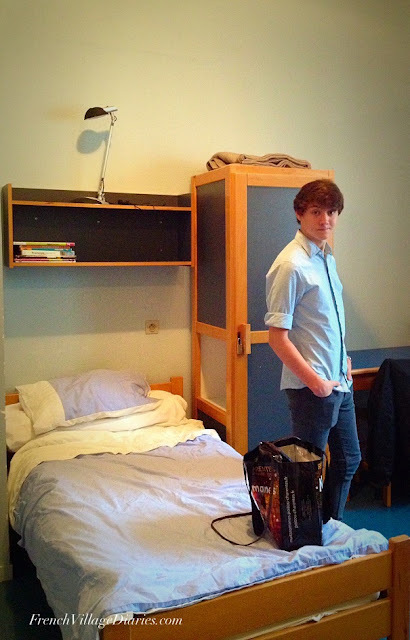 School trips at lycée have taken him to Germany, London and Rome, all in the lead up to the BIG BAC exams this week. Earlier this year we visited La Rochelle and Poitiers universities and of the four choices he made for degrees at Poitiers university, he got accepted for them all. Another new adventure to begin this September. Ed, you have made us laugh, you’ve made us worried and I’m sure we will continue to laugh and worry for many years. We are so proud of you, of what you have achieved and the person you have become. You have always been an individual and I hope you always will be. You’ve done all you can now and whatever the results remember this, you’ll certainly have done better than either of us could have managed sitting 16 hours of written exams in French. Well done, now enjoy your summer holiday. 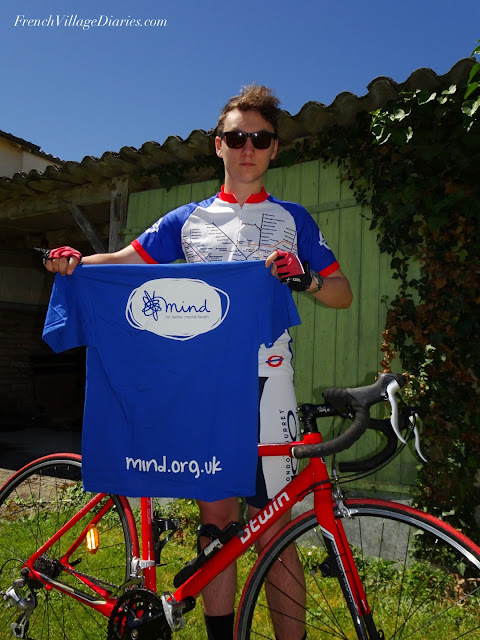 One of the things he has lined up this summer is the Prudential Ride-London 46, a 46 mile (75km) bike ride around London where he hopes to raise £200 for Mind, the mental health charity. 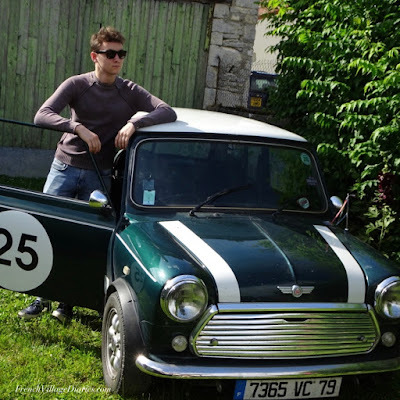 Now the exams are done, the training can begin, and he’s sharing the reasons why he is supporting Mind on his Just Giving Page (here) Good luck Ed, we know you can do it! If you can help him towards his target we would all be most grateful. It is now two years since the UK voted to leave the EU, a decision that left me upset, angry and afraid. The Sterling/Euro exchange rate dropped immediately, taking with it part of our income and it still remains at a lower point than pre-referendum rates. The ability to continue living our lives in the way we had been doing was uncertain and I had many questions that no one had the answers to. So, how have things changed? Not a lot really. I still have questions that there are no answers to, meaning I am still upset and worried about our future. The round and round talks of Brexit in the news does nothing but make me feel worse, especially when you read about how EU citizens who have been living in the UK for longer than we have been in France are being treated by the UK government. How is this likely to encourage the French to be nice to us? We are being encouraged to apply for Carte de Sejour (residency permits), despite as current EU citizens, it is not obligatory, and the only ones we are entitled to are the ones for EU citizens, which are therefore likely to become invalid once we cease to be EU citizens (I hope you are still with me!). However, they will help to prove our residency status when the time comes to declare. The process is not too difficult; make an appointment at our local prefecture in Niort, provide the necessary documents (a list of around ten different things going back at least five years) and turn up for the meeting. However, the phone line is only open for two hours, four afternoons a week and I’m at work for two of them. I have tried, numerous times, and so far nothing but the ‘line is busy, please call back later’ message. I know that appointments are currently being made for about six months' time, we have no idea where Adrian will be for work in six weeks' time, let alone six months. This means, if I am able to get an appointment, when the time comes, we may have to rearrange, or forgo a weeks' work and income in order to fulfil the obligation. Just more unnecessary worry and stress. I have looked into getting Irish citizenship for myself, as both my maternal grandparents were born in Ireland, although this wouldn’t be of any help to Adrian and Ed or give any more certainty to Adrian’s work situation. However, compiling my file (birth, marriage and death certificates for my grandparents, birth and marriage for my Mum and me) is no less complicated than applying for my French Carte de Sejour. My grandparents were born in the early 1900’s, in rural villages in Ireland, where documentation wasn’t recorded in quite the way it is today and neither of them ever had copies of their birth certificates. I have found their extracts, but before buying the required copies (20€ per certificate) I noticed an anomality. We have a copy of their UK marriage certificate showing Nan’s date of birth as 6thSeptember 1916, the same year Grandad was born, when actually her birth is recorded in 1910. Grandad was never issued with a death certificate as he was only ever listed as missing in action during the Second World War. With the application fees to register my birth at 278€, I am reluctant to proceed with so many holes in my documentation. It seems no solution to our EU citizenship is a simple one. I have also considered French nationality, something many of my friends have achieved in the last two years. However, again things have put me off, including the costs involved, the length of the process and the fact that my income may not be deemed adequate (after all no one wants a migrant who might be considered a burden on the state). Brexit is turning into the nightmare I feared in terms of paperwork, costs and stress. Another thing to worry about is that Ed will soon embark on a three-year degree course in a French university, however at the moment nothing is certain about his status to study once he is no longer an EU citizen. French nationality is an option for him, but again the cost involved will be another burden for us. Today in London thousands of people will be marching so that voices like ours can be heard. We can’t be there, but have friends, who are also in a similar position to us, who will be there and I’m grateful to them. By writing this post, I feel I’m doing something. So, what next? I don’t know, except for more worry, more uncertainty, more paperwork and more costs. Working in a library isn’t just about the books, it’s a people role too. There are now many regular faces I look forward to seeing, some each week, often at the same time and on the same day, who have become like friends. Other encounters, likely to be one-offs, are just as remarkable, like this week when I met a pilgrim. The weather is at last as it should be for this time of year. It’s hot, sunny and it feels like the weight of winter has finally lifted. Our little library is no looker, from the outside at least, and with just one UPVC frosted glass door, opening directly onto the street, no one can see in, give us a wave when passing, or even know we are there. Yesterday, I took the bold step at opening time of unlocking the door and leaving it wide open! A welcoming sign I hoped would encourage people to pop in, and it did. 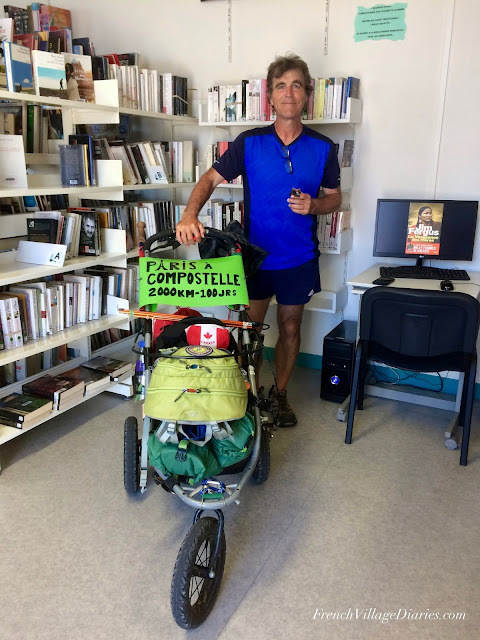 Not only did I see twice as many people than I’d seen the previous afternoon, I also had a special visitor; a pilgrim on the Chemins de St Jacques making his way on foot from Paris to Compostelle in Spain, a 2000km journey he’s planning on completing in 100 days. Our local town of Melle has been an important rest point for pilgrims on their way to Spain for hundreds of years, so he isn’t the first pilgrim I’ve seen, but he is the first I’ve spoken to. Cleverly using an all-terrain pushchair (just like the one we had for Ed many years ago) means he doesn’t have to carry his backpack, tent or equipment and his sign clearly announces his adventure to the world. As he used our computer to back-up the photos on his phone, then refilled his water bottles and worked out which road to take next, we chatted, somewhat awkwardly unfortunately, as I found his Canadian French incredibly difficult to understand. His story was a fascinating one as his ancestors had lived just a few kilometres from the library before they set off on an astonishing voyage to Quebec, four hundred years ago. I’d only just been sorting through some of the local area books and had found one all about the history of Quebec, founded in 1608 by Pierre Dugua de Mons, an entrepreneur from Royan and Samual Champlain, an explorer born in Brouage. We have visited both of these places in the Charente Maritime many times over the years as well as the port of La Rochelle which was the gateway to a new life for many from our region. I took his picture, stamped and dated his pilgrim’s passport with our library stamp and handed over the emergency muesli bar from my handbag as I couldn’t send him away empty handed. He took a selfie with me in it and upon hearing it was my dream to one day follow the Chemins de St Jacques from here to at least St Jean Pied du Port in the Pyrenees, he kindly offered to take my dream with him and release it in Compostelle. I feel privileged to have met him and especially at such an important part of his journey; the last stop before arriving at the village his ancestors left behind in the 1600’s, and I’ll think of him over the coming days as he walks ever closer to his goal. 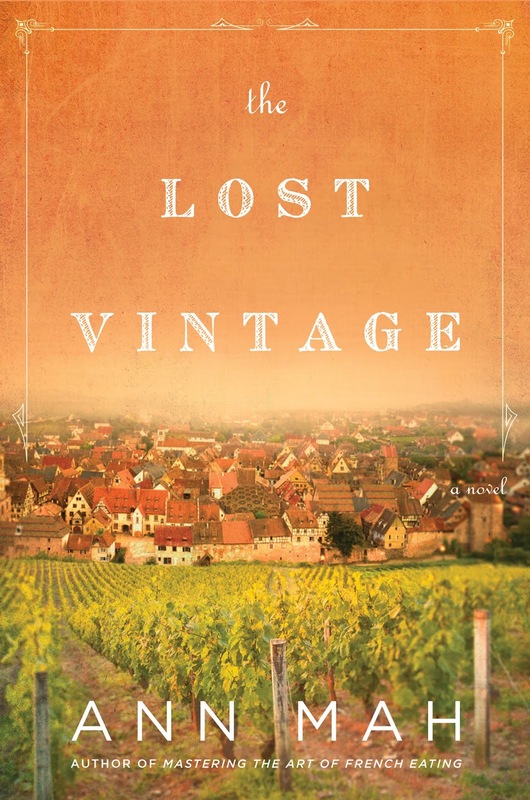 My review today is for The Lost Vintage, the new novel from Ann Mah, released today. Set amid the Burgundy vineyards, we meet wine expert Kate, as she heads back to her French roots to study for her Master of Wine exams. While helping with the family harvest, a discovery in the wine cave reveals a fractured family with long-ago buried secrets, and leads to many questions, all needing answers. In a journal shared only with the reader, we meet Hélène and follow her life through The Occupation. While we know how she suffered, the hardships of daily life, the sacrifices she made and the risks she took, Kate and her family only know the shadow of Hélène that hangs over the older generation. Her life was incredibly sad, and her journal was a very moving account of the war years. This book is well researched, both in terms of history and wine facts. There is a good mix of characters, some with an edge of mystery, whose actions made me slightly wary; their motives unknown as we wait for them to be revealed. We have a lost love and an awkward reunion, regrets of past decisions and possibilities of future reconciliations. It all flows beautifully, I enjoyed the switch from the journal to the present day and along with the descriptions of the changing seasons in the vineyards, I felt part of their lives. Being back in France makes Kate question what she really wants from life. Wine is in her blood, but is the Master of Wine part of her future? Can the older generation let go of the past and let the younger ones move the vineyard forward to a brighter future? You’ll certainly have a great read finding out! I know this book has been many years in the making, but like a good wine, it has only benefitted from this process of maturation. If you enjoy family historical sagas and a good glass or two of French wine, take this book on holiday with you, it won’t disappoint. The Lost Vintage is out now in ebook format with the hardback and paperback versions available for pre-order on Amazon UK now. You can read my review Ann's Mastering the Art of French Eating here and links to Amazon for both books can be found below. If you missed Ann’s Lazy Sunday in France guest post and fancy a quick trip to Paris, you can read more here. 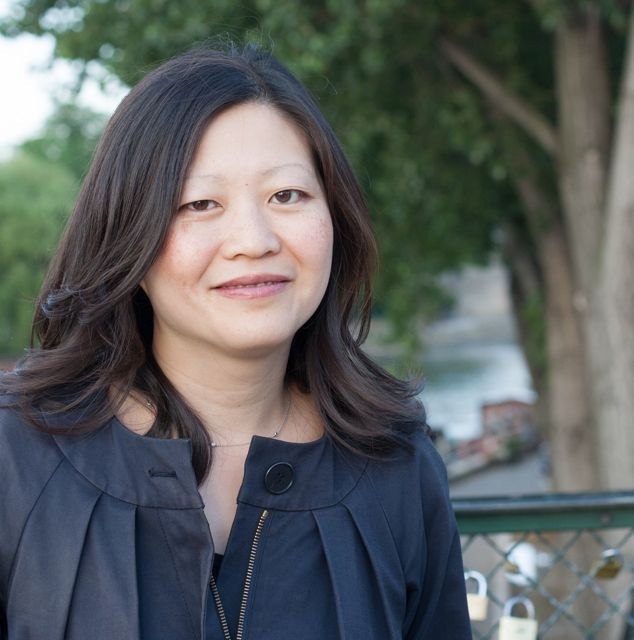 Welcome to another Lazy Sunday in France, where this week Ann Mah is taking us to Paris for a perfect family day. Ann is the author of Mastering the Art of French Eating, a delicious look at French regional specialities (read my review here) and this week will publish her first novel that is set among the Burgundy vineyards. I’ll be posting my review on Tuesday, but I guess there is no harm in telling you now that it is a beautifully written book, full of long buried family secrets just waiting to be released. Sunday morning is my favourite time in Paris especially if my husband has gone out early to pick up croissants or miniature tartes aux pommes from the boulangerie. On a perfect day (which is what this is, right?) we eat them with the windows flung open, accompanied by hot tea and summer peaches, which always taste sweeter and juicier when you can slurp them at leisure. Sunday mornings are for making lists, which I love to do, poring over beloved cookbooks and deciding what to make my family for dinner. A little later, we’ll take a walk to do our shopping, joining the crowds at the rue Cler and buying enough food to keep us until Tuesday, when these stores will open again. Back home again, I spend some time admiring the fruits and vegetables I’ve just bought. The fragrant melons and soft-skinned tomatoes. The length of baguette, the paper-wrapped triangle of cheese, the pink translucent slivers of dry-cured ham are a delicious and easy lunch for three. In the afternoon, a walk? A trip to the Luxembourg Gardens, where we sail a small toy boat in the fountain, chasing it around the basin with a stick in our hand? Perhaps a nap on the grass. Or an ice cream? Definitely a cold drink to refresh us before the bus ride home. The sun is still bright overhead, but the shadows are lengthening as we near our apartment building. Since this is a perfect Sunday, dinner is already made. I need merely sip a glass of wine while it warms on the stove. After we eat, we’ll put our daughter to bed, pour another glass and chat about the week ahead. The temperature will turn chilly enough for us to burrow under heavy covers. In bed, I read my book and drift to sleep, dreaming of my next Sunday in France, simple but so very sweet. Lazy Sunday in France for French Village Diaries. Don’t forget to join me back here on Tuesday to read my review of The Lost Vintage. You can also read my review of Mastering the Art of French Eating here and read more about why Ann loves France in my France et Moi interview with her here. Links to Amazon for both of her books can be found below. Welcome to ‘France et Moi’ where this week I am talking to author Susanne O’Leary about what France means to her. 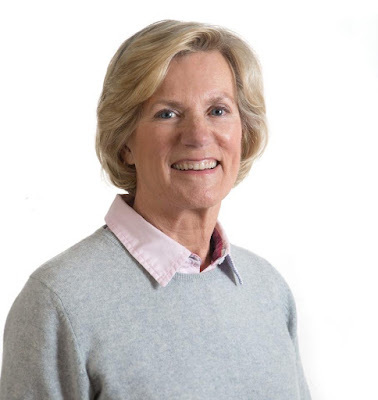 Susanne O’Leary is the bestselling author of more than 20 novels, mainly in the romantic fiction genre. She has also written three crime novels and two in the historical fiction genre. The wife of a former diplomat, she has also been a fitness teacher and a translator. She now writes full-time from either of two locations, a rambling house in County Tipperary, Ireland or a little cottage overlooking the Atlantic in Dingle, County Kerry. When she is not scaling the mountains of said counties, or doing yoga, she keeps writing, producing a book every six months. 1) I think France is a special place and it is famed for many things including its cheese, wine and diverse holiday locations plus, dare I say it strikes and dog poo littered streets. What do you think makes France so very unique and ‘French’? Susanne: France has a very strong identity, proud of its language and culture. What makes it unique are the age-old traditions and the rhythm of daily life. The queuing for a fresh baguette twice a day, the food market, the patisserie for Sunday lunch, kissing on both cheeks, in short, the very elegance of daily life. And the chic women, the little boutiques, the strict etiquette when it comes to being polite. Not to mention that blend of coffee, fresh bread, garlic and a whiff of petrol fumes wafting around any French town. It’s a kind of oh-la-la-ness that hits you every time you go there. Susanne: The very first time I went to France, I was 15 and I was staying with a French family in Annecy, Haute Savoie. I was educated in a French lycee in my native Stockholm, so my French was quite good, but being in an all-French speaking environment was new to me. I remember how impressed I was with the beauty of the town and the views of the snow-covered Alps across the lake. 3) You spent four years living in France, can you tell us what the best thing about being immersed in French life was and the scariest thing? Susanne: The best thing was living in Paris, my favourite city. I swear I woke up every morning with a smile on my face, whispering: ‘I’m in Paris’ to myself. I loved hearing French all around me and having all that French culture on tap, like French movies in the cinema around the corner, the little art galleries and the museums. Also sitting at cafés people-watching and browsing in the quaint shops on the Left Bank. I loved the French countryside too, that ‘Douce France’ kind of living in little villages when we were on holiday. The scariest thing? Minding two very lively boys and making sure they were safe and I knew where they were at all times. 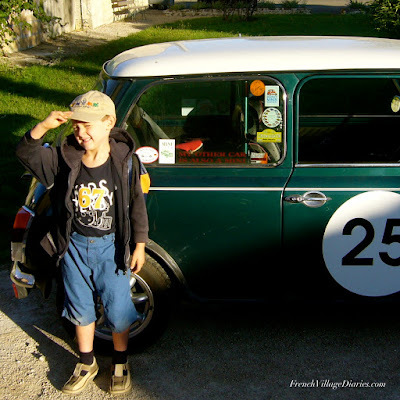 One of my boys, age 10, once got lost cycling through the Bois de Boulogne. I was in bits before we found him. He was completely cool about it and couldn’t understand what the fuss was about. 4) Do you have any top tips for learning French? Or maybe an embarrassing language mishap you are happy to share? Susanne: I think the best way to start, would be to learn the verbs avoir and être (to have and to be) by heart, and to try your very best to learn French pronunciation. As I started French at a very early age, I think I learnt the language like a child, so it all came gradually with a feel for the language without even thinking about grammar. Susanne: I would order un café crème(aka ‘café au lait’) and a croissant. Love that combination. 6) France has many different cheeses, a silly question, but which French cheese are you? A hard and mature Tome, a soft, fresh and lively goat cheese, the creamy and rich Camembert or maybe the salty and serious Roquefort? Susanne: Definitively a Reblochon. Hard on the outside, soft and creamy on the inside, with a touch of dangerous bacteria. 7) Every region in France has a culinary specialty, do you have a favourite regional dish? Susanne: I love bouillabaisse, that fragrant fish soup from the south of France. 9) How does France inspire your writing? Susanne: First of all, the many beautiful vistas, and then the history and the beautiful architecture. So much more, the air and smells of Provence, the buzz of Paris, the food and wine. The elegance of the women. The handsome men. And the language. 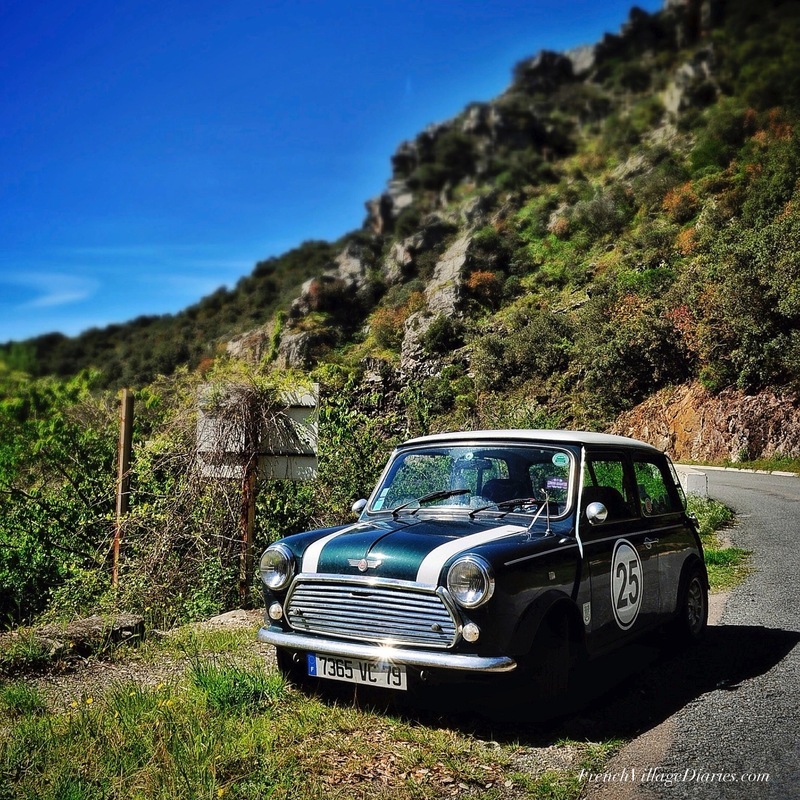 10) With plenty of space and lovely scenery France is a great place to explore. If you were to take a day off from writing where in France would you go? Susanne: I would go to Provence. Especially Antibes, which has all of the things I love about France, plus the sunshine and the glorious, azure Mediterranean. Finally, your latest novel The Road Trip, sees two characters travelling through France in a convertible (my dream holiday), can you let us have a sneak peek at some of the places they visit and things they experience? ‘Thank God for that.’ Maddy managed to take a few shots of Leanne at the wheel with a backdrop of the shopfronts of Rue de Rivoli, and the Luxor Obelisk as they drove across Place de la Concorde. They continued up the Champs-Élysées, around Place Charles de Gaulle, glancing up at the magnificent Arc de Triomphe while all around them traffic roared and car horns tooted. Then they go and visit the famous cathedral in Chartres which, apart from La Sainte Chapelle in Paris, has the most beautiful stained-glass windows in France. The cathedral of Chartres was mind-blowing to Maddy. Not expecting anything more than an old Gothic church, she nearly stopped breathing when she looked up and saw the vast stained-glass windows, their jewel colours glowing in the dim light, throwing splashes of red, green and blue on the stone floor. She had read in the guidebook that the cathedral was built in 1260 on the foundations of an earlier church that had burnt down in the previous century, but she had had no idea of its magnificence. Awestruck, she stood there, looking up and marvelling at the still vivid hues and beautiful shapes. After that, they head south to Provence, where they stop off first in Orange to see the Roman Theatre, which is truly amazing. Leanne and Maddy spent an enjoyable half hour walking up and down the different levels of the amphitheatre, amazed at the ancient site and the history behind it. They finally sat down on one of the seats at the very top, looking down at the half circle that made up the front of the theatre. Up here, they were hit by the magnitude of the edifice, and how the stage down there seemed to echo with voices from the past. The sense of history was so strong, they could nearly see ghostly figures in strange costumes moving around, hear the applause from the people on the packed terraces and smell dusty air, thick with atmosphere. They continue on to Gordes and the lavender fields of the Abbey of Notre Dame de Senanque before they finally arrive in Nice. Then they go to Vence, a little town in the hills above the city, where Leanne’s father has a big villa. Wow! Thank you for taking the time to answer some questions about France and you and giving us a great teaser for the book. The Road Trip is available in ebook and paperback format and links to Amazon can be found below. 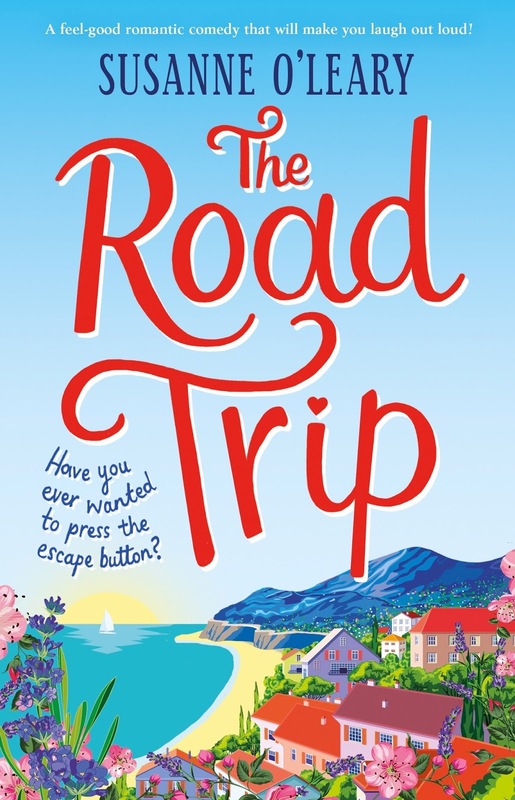 If you like to travel in France, you’ll love The Road Trip and it’s currently only 99p for the kindle version – bargain!